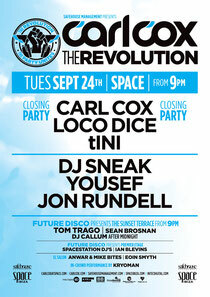 On Tuesday, 24 September Carl Cox and his Revolutionary crew join forces as The Party Unites @ Space draws to a close for 2013. 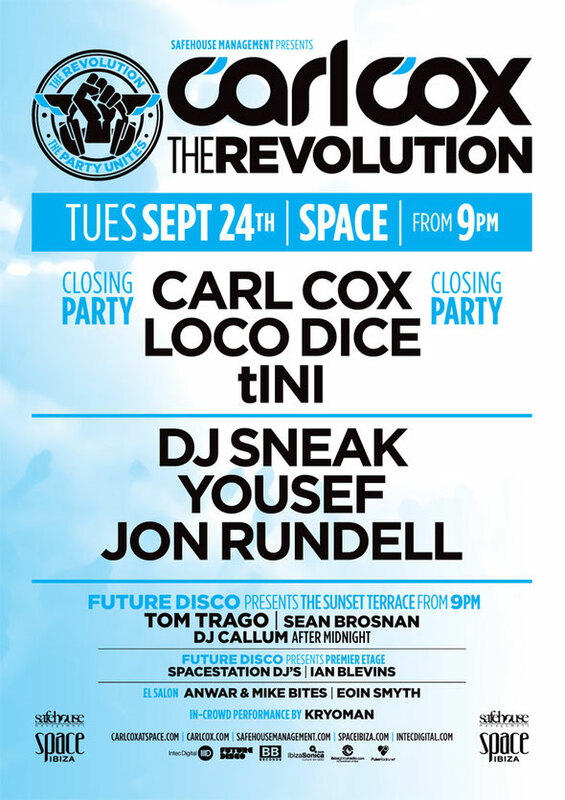 DJ Sneak, Loco Dice, tINI, Jon Rundell and Yousef will join Carl for one of the key events of the Ibiza calendar, as thousands of friends gather to celebrate yet another fantastic summer season. The Party Unites brought together an array of DJs in 2013, including Nic Fanciulli, Steve Rachmad, Laurent Garnier, Adam Beyer, Heidi, Eats Everything, Seth Troxler, Nina Kraviz, Masters at Work, Green Velvet, Nicole Moudaber and Loco Dice, among many others.